If you need red diesel delivered to Halifax and you are looking for a reliable supplier offering competitive prices, order from Crown Oil. Crown Oil are red diesel suppliers in Halifax and we always provide the highest level of service, making fuel ordering fast and simple. 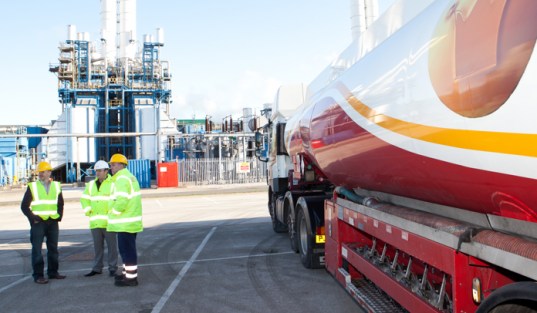 We are one of the leading fuel suppliers in the UK, with customers in the public and private sector. From construction sites, factories, industrial units to schools, universities, farmers and hospitals – we deliver fuels and lubricants to any sector. Call us on 0845 313 0845 to order your red diesel Now. We also offer a 24/7 emergency delivery service. With the extremely cold winters in this area fuel is a critical part of heating the homes to help keep the population warm. Heating solutions such as piped gas and electric heaters consume mass amounts of commodities which the home owner has to pay for. And with the almost monthly rises in taxes and charges, heating the home has never been so expensive. Diesel suppliers in Halifax have an affordable solution to heating costs. Red diesel is a fuel which can greatly reduce the amount of money spent each month heating the home. Red diesel is only slightly chemically different from normal diesel used in automobiles and engines. The main difference in the two diesels is the fact that a red dye is added to the red diesel. This is because red diesel is for home heating only and it is against the law to use red diesel in diesel automotive engines. The other main difference is the price. Red diesel as a fuel does not have the excessive tax levied on it that engine diesel has. Red diesel suppliers in Halifax offer free delivery for heating fuel (red diesel). Red diesel in Halifax is easily obtainable though local stockists and is readily available throughout the year. Always order red diesel for heating in advance to ensure a delivery before the winter to avoid a cold and damp internal environment at home.